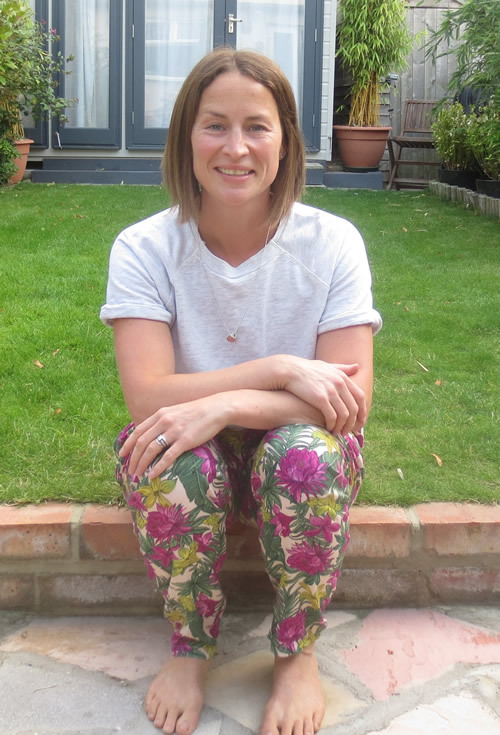 I’m a mum of 2 very active boys (4 and 7) and have been with my husband for far too many years. I fell into my HR career at one of the big city Banks and managed to quickly progress up the career ladder. I gave it all up however, after the birth of my second son. I tried doing the part-time City job, but as many Mums know too well, you get paid part-time but end up working full-time around the children. I am very fortunate as my husband owns a locally based business, and I ended up going to work for him. This gives me the flexibility I need term-time, so I could look after my boys. Hockey wise, I was introduced to the sport at the age of 8 and 30+ years on I still play!!! With 3 older brothers, sport filled our house and hockey soon became my passion. I loved being part of a team and I was lucky that my parents ferried me to and from games. I am in awe of my mother and what she did for us, you don’t appreciate it at the time. My passion for hockey is because I love the sport, but also what it brings off the pitch. I have grown up with many of the people I play with and made some amazing long-term friends. How and when did the Old Cranleighan Colts section start? September 2016 will see the start of our 5th season. It had always been a pipe dream of the Club’s to set up a junior arm, especially as so many playing members have children, but had nowhere for them to play. One day our Chairman suggested he start a Colts section and from there we’ve never looked back. We have a great team in Gavin, Cato, Kelly, Kate, Emma and many other volunteers on a Sunday, who make everything look like it’s running smoothly (even if legs are paddling like crazy under the water). 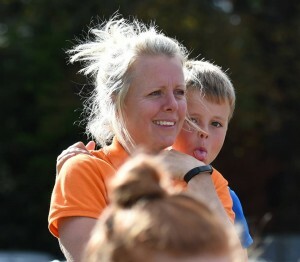 We wouldn’t all carry on with such enthusiasm if we weren’t all passionate about hockey and building the Club’s future. How did you become involved with Colts? I was asked by the Colts Committee to come and join when they were starting up. For two reasons, 1) because it was felt important to have a Ladies playing member on the committee and, 2) I run the kit supplies for the club, so I could help get this underway for the Colts. I jumped at the chance to help with this exciting new initiative. How many children attend each week? We have just under 300 children signed up for the 2016/2017 season. In year 1 it was just 50, who were mostly our adult players children, but now it has just grown through it’s own success. There is a huge amount of interest in hockey right now, and with the success of the GB Ladies in Rio it will just keep on growing. What ages ranges do you teach? We start at Year 1 (U6s) and currently go through to Yr 9 (U14s) level for both boys and girls. We split them between 3 separate sessions on a Sunday. 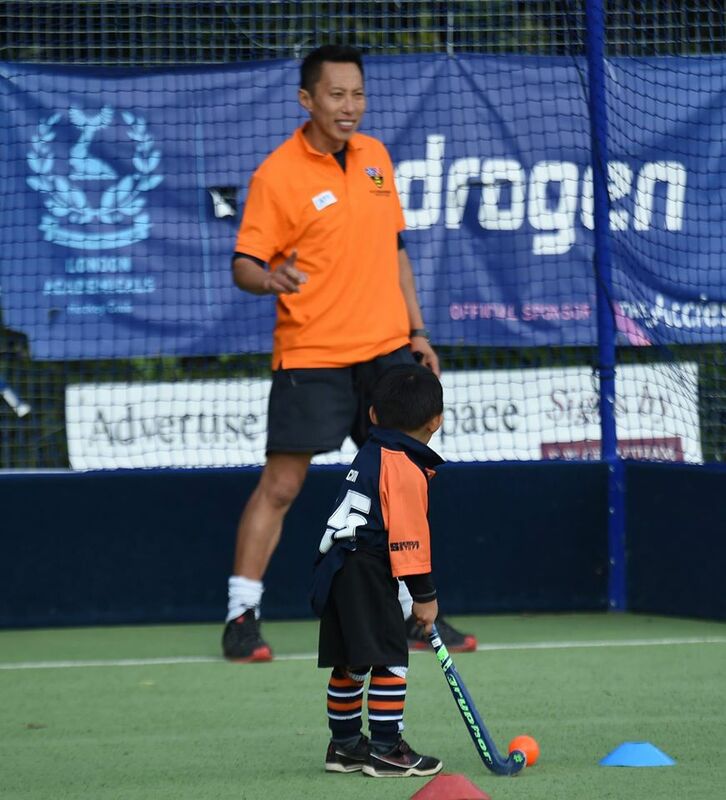 Because of our high attendee rate, we try to limit our numbers at each age range, to ensure the quality of the coaching is not diluted by the number of children, and to ensure we have enough pitch space. 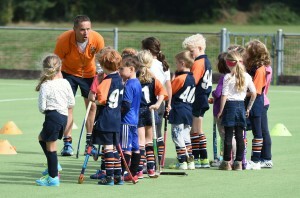 Do children need to have played hockey before joining? No not at all. 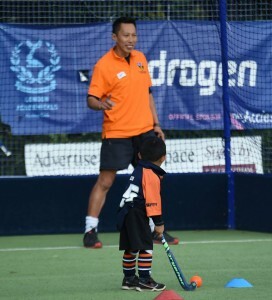 For those starting with zero experience, we give them additional coaching and attention so that they can get familiar with the stick and ball, plus the rules. We always encourage the children to do a little extra skills work at home (carefully!) dribbling a ball around the garden or house, just to get used to holding the stick and controlling the ball. Are the groups mixed girls and boys? 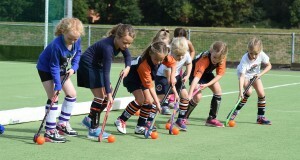 We coach the groups as ‘mixed’ groups up to the U8s (Yr 3) age group. After that we tend to coach them separately. The reason being, that the leagues tend to be single sexed, so we need to train with that in mind. What does an average session involve? Sessions vary depending on whether games are coming up, however the start of each season means learning and practicing basic skills, and get back into the swing of things. 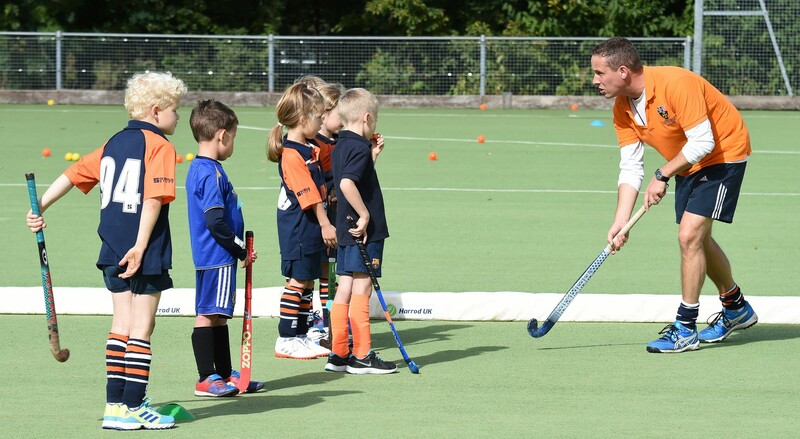 With the introduction of our new Director of Hockey the plan is to ensure everyone is learning a new skill each week, but also reinforcing what has been learnt from the previous sessions. Most sessions usually end in a match. 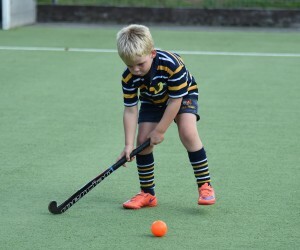 What positive benefits and skills can children learn from hockey? Children can learn all sorts from training and playing hockey. First and foremost, it gets children active but in a fun way. Playing hockey you become part of a team, learning to co-operate and communicate with others. 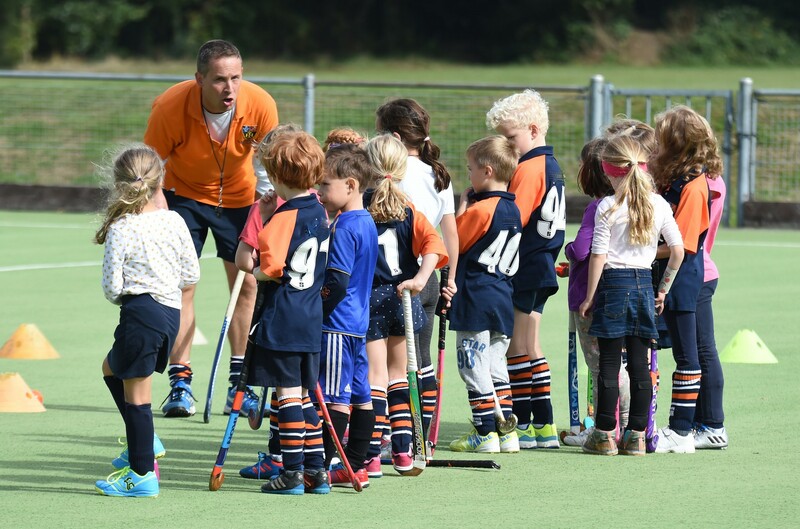 It’s also a hugely inclusive sport as the children play mixed up to age eight, then often at University and at Club level you play mixed matches for fun. You also learn coordination, concentration, and foresight, and lastly you learn the rules of a great game. Hockey is a respectful game where, unlike some other sports, abusive language is not tolerated on or off the pitch. Finally, what’s next for the Colts going forwards? For the first time in it’s history the club has appointed a Director of Hockey. This will enable us to have a coaching approach that’s adopted right the way through. The aim being that we want to create an inclusive and high quality coaching environment, where junior players can flourish. Hopefully enjoyment at a junior level will see someone right through to playing adult hockey. Overall, we want to provide a welcoming, friendly and enjoyable hockey experience for all Colts and their parents.